We will be short and sweet today, with a friendly reminder that the tax year in the UK is coming to an end on April 5th, so you only have a few days left to use up your ISA allowance. For those of you who are not familiar with the Individual Savings Account, this is a tax free account where you can save up to £11,520 for the 2013/2014 tax year, entirely tax free. That is a saving of 20% or 40% depending on your tax band, compared to a traditional savings account. ISAs work the same way a savings account do, you put money in as you want, and can generally withdraw as you like as well. BUT once you withdraw the money, you can’t put it back. For example, the maximum you can put in a cash ISA this tax year is £5,760, meaning if your balance is already £5,760 and you withdraw £1,000 for an emergency, you can’t but the amount back, and have to wait until the next tax year to fund your new ISA. Which rate is worth considering? At the moment, I have a current account paying 3% on balances up to £20,000. If you are in the 20% tax bracket, you get an actual 2.4% on your savings once the taxman has taken his share, and you only get 1.8% if you are in the 40% bracket. While the 3% current account is convenient to have your balance earn money while avoiding the risk of overdraft, any ISA paying a higher rate than 2.4% or 1.8% depending on your tax bracket is worth having a look at. 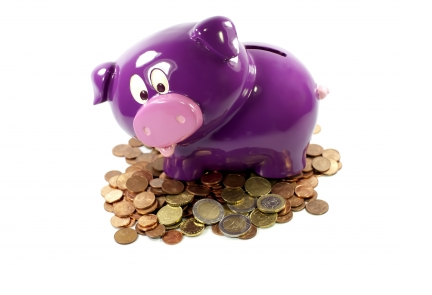 Remember that most ISAs offer a competitive rate for the first year only. Then you are responsible for moving them to another high paying account, but never withdraw the money or you won’t be able to put it back inside an ISA. You have to ask your new bank to take care of the transfer for you. You can choose to put part of your ISA allowance into stock and shares. While they are riskier than the cash ISA accounts, you will only get taxed on income earned from shares, instead of 32.5% for the higher rate taxpayers. That is a huge difference, and why higher rate taxpayers should go for the stock and shares ISA instead of the cash one. 1.8% on the cash sitting in your current account is still pretty decent and if you can afford to invest for the long run, the stock and shares ISA should be worth it in the end. Anyone over 16 can have an ISA so if you have extra cash and want to keep it away from the taxman, you can open an ISA for your kids. That is a great way to show them how to save and lower their tax burden. You should do a quick online comparison for ISA rates, but if you open one with your current bank the process is easily done online in a few minutes, no reason to miss it! It was announced in the budget recently that a New ISA would come into effect on the 1st of July 2014. It will bring savers a big increase in allowance, up to £15,000. Another important difference is you will be able to save the full £15,000 in cash should you wish to do so, and have the flexibility to transfer money from your cash ISA into your investment ISA. To help you understand more about the New ISAs, Scottish Friendly has put together this video, enjoy! That’s a great savings device you have in the UK …. TFSA’s in Canada only allow up to $5,000 per year tax free savings!